Gonen Segev has long been known as a Israeli public servant who went astray of the law. Following a stent as a military pilot in the Israeli Airforce in the 1970’s, Zegev became a doctor before being elected to the Knesset in 1992 as part of the now defunct Tzomet Party. In April 2004, after leaving Israeli politics to focus on his business career, Segev was arrested for attempting to smuggle tens of thousands of ecstasy tablets from Amsterdam to Tel Aviv, disguised and M&M’s. On Monday, Israel’s elite counter-intelligence force, Shin Bet, arrested Segev for spying on behalf of Iran. 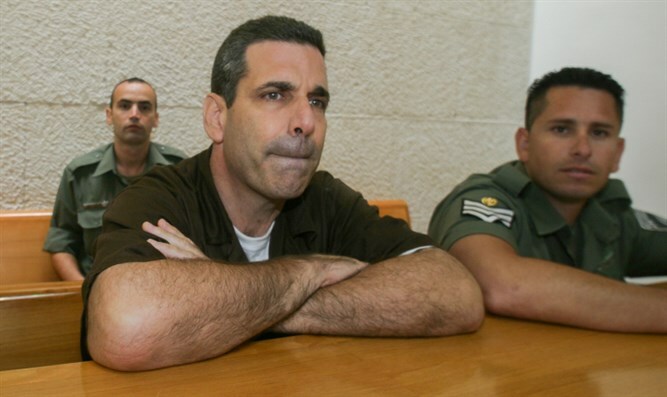 As the Jerusalem Post first reported, the indictment for suspicion of assisting the enemy in a time of war was entered against Segev in the Jerusalem District Prosecutor’s Office on June 15. After being first entered under seal, the indictment was approved by the Attorney General and State Attorney almost immediately. The indictment alleges that Segev provided sensitive and classified information related to Israel’s energy infrastructure to his Iranian handlers. According to the Shin Bet investigation, Israeli authorities first became suspicious of Gonen Segev in 2012 when he made an unusual visit to the Iranian Embassy in Abuja, Nigeria. According to Israeli intelligence officials, Segev knew the people who invited him to the embassy to be Iranian intelligence operatives. On the dimly lit Udi Street Embassy, Segev’s initial meeting with his new Iranian handlers lasted late into the night. Due to the suspicious nature of his meeting, Shin Bet immediately started a case file and sought the resources of Israel’s signal intelligence specialists in Unit 8200. In hotels, bars and sporting events in the 5 years following his initial 2012 meeting, Segev passed information to his Iranian handlers. Segev maintained his ties to unwitting members of Israel’s security and energy apparatus, and used them as sources for the information he eventually passed to Iran. Segev requested a pardon from Israeli Health Minister Ya’acov Litzman in 2016, so that he could return to Israel to again work as a medical doctor for the first time since being convicted of smuggling MDMA pills into Israel. At this point, Segev’s concern will no longer be getting into Israel. Israeli legal and national security experts say Segev is unlikely to leave the country ever again. It’s not true that wiretaps and/or electronic surveillance of U.S. citizens can “only” be done with a FISA (Foreign Intelligence Surveillance Act) court order. Besides the FISA court, “wiretapping” or electronic surveillance can also be done under Title III authority. The government used this authority, for example, in the Justice Department’s secret Fast and Furious “gunwalking” case. Additionally, U.S. Presidents have the power to issue secret presidential directives that can authorize otherwise illegal acts (theoretically in the country’s best interests). These directives may come with pre-planned cover stories to be used in the event the operation is exposed, and they come with indemnity for those involved, giving them permission to lie about the operation or their involvement without fear of prosecution. The public will rarely know about such presidential directives since most who see them must sign agreements that promise nondisclosure and consent to polygraphs. Computer surveillance is a grey area in the intelligence community where many insiders argue the traditional privacy restrictions and surveillance rules don’t necessarily apply. The term “wiretapping” is used in a general sense to refer to electronic eavesdropping, even though the actual “tapping” of “wires” is not routinely necessary with today’s technology. Surveillance of domestic communications can be conducted in international waters where U.S. law doesn’t apply. A U.S. submarine at sea. There are “back-door” ways to collect and report on a target without Title III or FISA court authority. If it’s for political purposes or blackmail, this may consist of “inventing” an excuse to surveil the target. If the work of targeting an individual cannot be accomplished by government intel officers, it can be contracted out to third parties or to foreign parties who aren’t bound by U.S. law. Incidental collection of a U.S. citizen target may be “orchestrated” for political reasons by those who have tools and tradecraft available to them because of their positions of power. There are ways to do it with no fingerprints. 1. Locate a foreign target already under CIA surveillance. 2. Have a government agent use the foreign target’s phone and/or computer to make it look like the foreigner contacted the U.S. citizen whose communications are sought. The contacts can be benign, but they establish a record that falsely implies a relationship exists between the U.S. citizen and the foreign target. 3. The government agent can also mimic a communication back from the U.S. citizen to the foreign target, creating an appearance that the U.S. citizen initiated contacts. This could be favorable to justifying a warrant on the U.S. citizen later. 4. The U.S. citizen is now tied to the foreign entity and is now an “incidental” collection target that can be surveilled in a “masked” format. Although “masked,” the surveilling agency knows the U.S. citizen’s identity. Possibly inappropriate requests to “unmask” names of U.S. citizens captured during surveillance of a foreign target may be preceded by a chain of communications intended to provide a pretense or cover story to justify the unmasking. As an investigative reporter for CBS News, Ms. Attkisson was responsible for investigating and reporting on national news stories. Between 2011 and 2013, she investigated and prepared various high-profile news reports, including ones related to the “Fast and Furious” “gunwalking” operation and the attack on the American diplomatic mission in Benghazi, Libya. Many of you have asked for the status of my computer intrusion lawsuit against the federal government. On March 19, 2017, a federal judge denied the government’s motion to dismiss my computer intrusion lawsuit, and transferred the case from Washington D.C. to the Eastern District of Virginia. Below are excerpts from the judge’s opinion, which provides a good summary. In February 2012, “sophisticated surveillance spyware” was installed on Ms. Attkisson’s work-issued laptop computer. A later forensic computer analysis revealed that Ms. Attkisson’s laptop and the family’s desktop computer had been the “targets of unauthorized surveillance efforts.” That same forensic analysis revealed that Ms. Attkisson’s mobile phone was also targeted for surveillance when it was connected to the family’s desktop computer. The infiltration of that computer and the extraction of information from it was “executed via an IP address owned, controlled, and operated by the United States Postal service.” Additionally, based on the sophisticated nature of the software used to carry out the infiltration and software fingerprints indicating the use of the federal government’s proprietary software, the infiltration and surveillance appeared to be perpetrated by persons in the federal government. An independent forensic computer analyst hired by CBS subsequently reported finding evidence on both Ms. Attkisson’s work-issued laptop computer and her family’s desktop computer of “a coordinated, highly-skilled series of actions and attacks directed at the operation of the computers.” Computer forensic analysis also indicated that remote actions were taken in December 2012 to remove the evidence of the electronic infiltration and surveillance from Ms. Attkisson’s computers and other home electronic equipment. the interest of justice warrants transfer rather than dismissal so that the Attkissons’ claims can be adjudicated on the merits. For the reasons stated above, defendants’ amended motion to dismiss is GRANTED IN PART and DENIED IN PART WITHOUT PREJUDICE. As to their assertion that the Attkissons’ FTCA claims are improperly venued, defendants’ motion is granted. Accordingly, this consolidated case shall be transferred in its entirety to the United States District Court for the Eastern District of Virginia. The remainder of defendants’ amended motion to dismiss is denied without prejudice so that defendants may refile it, if appropriate, upon transfer to the Eastern District of Virginia. Likewise, the Attkissons’ motion for reconsideration of the Order denying various motions related to third-party discovery is DENIED WITHOUT PREJUDICE so that it may be refiled in and more appropriately resolved by the transferee court. An appropriate Order accompanies this Memorandum Opinion. Will Smoking Gun Documents Vindicate Trump? In the wake of House Intelligence Committee Chairman Devin Nunes’s statements to reporters on Wednesday, the outline of what could become the biggest political scandal of the last 100 years is becoming clear. Obama administration officials, possibly aided by Obama’s January 2017 order expanding access to the NSA’s raw signals intelligence data, are alleged to have misused the NSA’s surveillance capabilities to spy on the incoming Trump administration. The NSA’s raw data includes names of US citizens, which are supposed to be “masked.” Obama officials allegedly “unmasked” the names of people associated with Donald Trump, and feloniously leaked information (which may have been true or false) about those individuals to reporters in order to damage the incoming administration. Hopefully we will see the paper trail before long. Rosen reports that the FBI has so far not cooperated with the House committee’s requests, but the NSA is expected to deliver responsive documents to the committee as early as today. This might be a good time to mention that I don’t trust James Comey any farther than I can throw him. Nunes said he was alarmed by what he saw in several dozen intelligence reports that include transcripts of communications, including communications directly from Trump. The reports were based on a foreign electronic spying operation between November and January. They were revealed by an intelligence community insider who alerted Nunes. The full extent of the improper spying—including the improper unmasking of Americans whose identities were to be hidden in reports of foreign communications intercepts—is expected to be disclosed Friday, Nunes said. I think we can be quite certain that the “full extent” of any improper spying by the Obama administration will not be disclosed today. Not to the committee, and certainly not to the public. In any event, stay tuned. One can only hope that if these reports are true, all Obama administration officials who were involved in the scheme, including if appropriate Barack Obama, will be criminally prosecuted. One last comment: if it turns out that Donald Trump was right all along in charging the Obama administration with improperly conducting surveillance on him, it will be a stunning political reversal and a severe setback for the Democratic Party.